From where the castle sits grinning on its rock, a spine runs down the length of Edinburgh, all knobs and cobbles. Ribs arch off to north and south, threaded through with ducts and drains and channels. With all its fat flensed off, the Old Town offers up a skeletal prospect, its thorny architecture the product of slow accretions: a city built by lithiasis. A medical town, then, lying in the shadow-zone between life and death. Might such long familiarity make Edinburgh an unfeeling place? Callous, even? Or does Edinburgh’s cool reserve come from the internalised understanding that all things share one common and inexorable fate? Vikki McCraw gives us a set of images—thin slices of geography and time—to help us with our diagnosis. 1. Map of Edinburgh from the North showing the 1676 physic garden Edinburgh’s original physic garden was founded in 1670 by Robert Sibbald and Andrew Balfour at Holyrood Park. It was one of the first physic gardens in Britain. Six years later Sibbald and Balfour moved the expanding garden to a plot at the top of the Nor Loch; today this location is Waverley Station’s Platform 11, where you can find a commemorative plaque. This 1676 garden is illustrated here with four plots just to the left of the Nor Loch, in the middle of the right-hand page of the map. In 1763 the garden was moved to Gayfield Square (off Leith Walk), and from there, in 1820 the garden was moved a fourth and final time, to Inverleith in the New Town, where you can visit it today as the Royal Botanic Garden of Edinburgh. 2. Old Surgeons’ Hall, High School Yards: the first meeting place for Edinburgh’s Royal College of Surgeons, established in 1697. The organisation of Edinburgh’s surgeons dates to 1505, when the Barber Surgeons of Edinburgh were formally incorporated as a Craft Guild. It is one of the oldest surgical corporations in the world. For this and a complete history of Edinburgh’s College of Surgeons, see Helen M Dingwall, “‘A Famous and Flourishing Society’: the History of the Royal College of Surgeons of Edinburgh”. 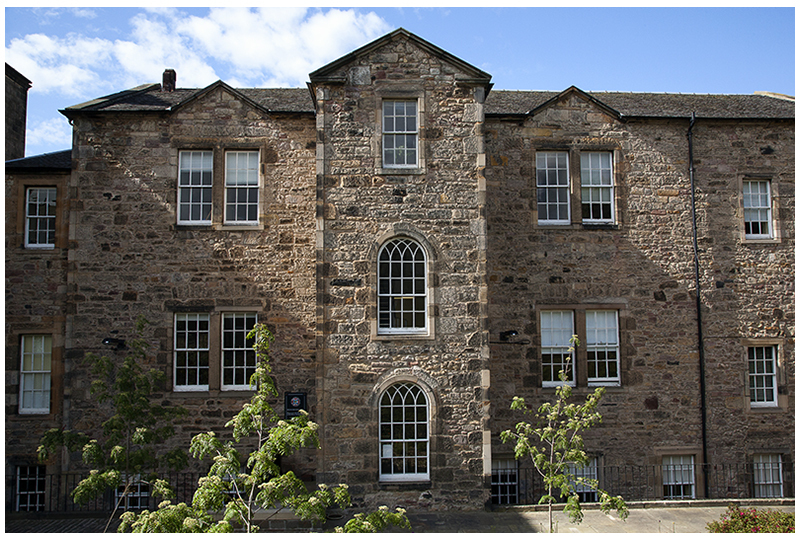 The Surgeons’ Hall on Nicolson Street was designed by William Henry Playfair in 1832 to accommodate the growing college, and is still in use today. 3. Bust of Robert Sibbald (1641-1722), who, with Andrew Balfour (1630-1694), established the Royal College of Physicians of Edinburgh in 1681. They also founded Edinburgh’s first physic garden at Holyrood Park, and used their expertise to stock it with medicinal plants intended for use by doctors and medical students. 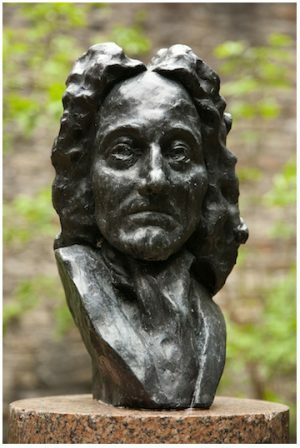 The bust is in the Sibbald Physic Garden at the current College of Physicians, on Queen Street. 4. 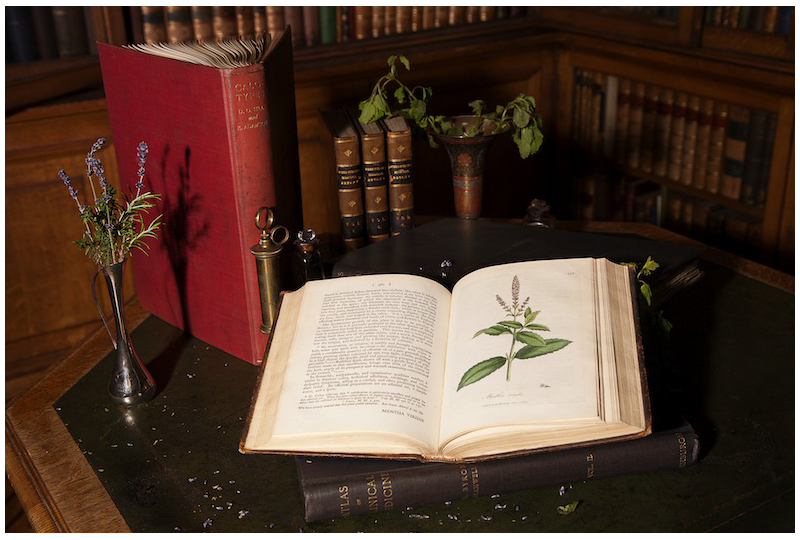 Still life with books, herbs, and medical equipment at The Library at the Royal College of Physicians of Edinburgh The library was founded in 1681 by Robert Sibbald; it is the oldest, and the largest, medical library in Scotland, and one of the largest in the United Kingdom. It is open to non-members, by appointment. 5. Mortsafe at Greyfriars Kirkyard Mortsafes were used in Edinburgh during the early 19th century to prevent graverobbing. Coffins were locked inside the mortsafe until the body had decayed considerably, and then buried. This assured that the body would be of no use to medical students, who sometimes resorted to illegal means of sourcing corpses to study. 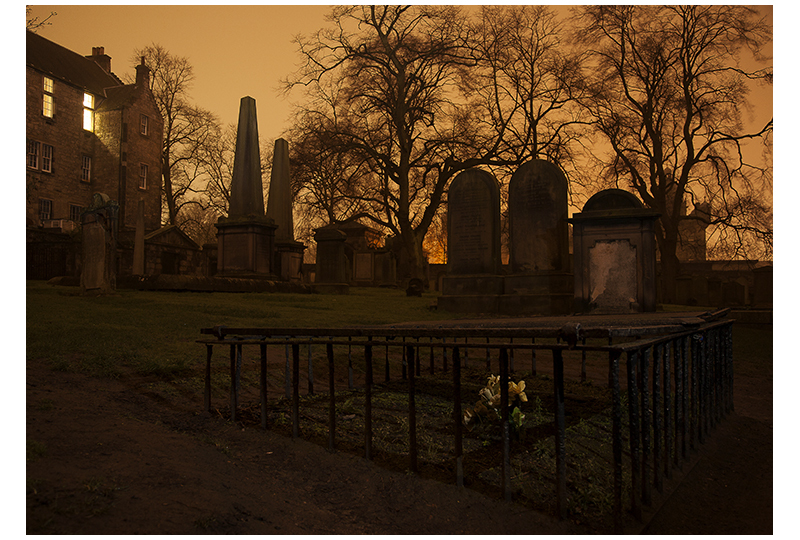 You can find out more about the history of bodysnatching and the use of mortsafes in Edinburgh. Graverobbing was disturbing enough for the citizens of Edinburgh in the early 19th century, but the money that was being paid for these bodies and the natural limit on their availability led to even more traumatising events. 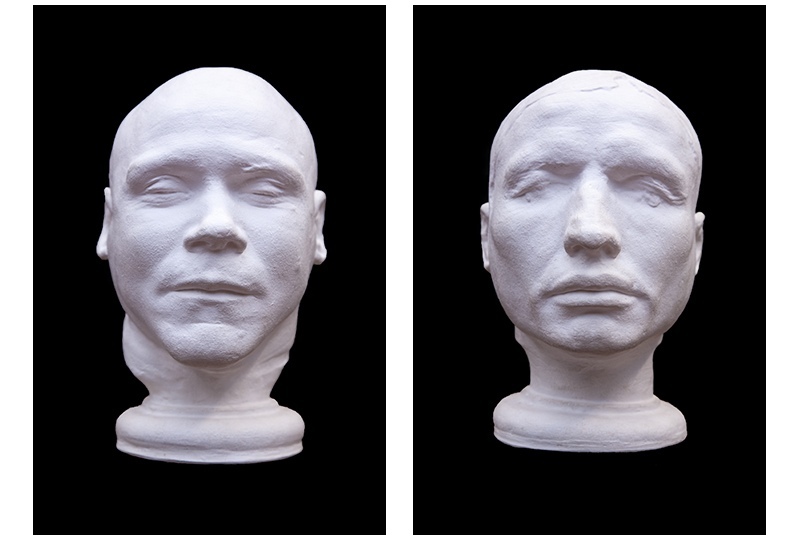 Between 1827 and 1828 William Burke and William Hare murdered seventeen people in order to sell their bodies to the Anatomy School. They were discovered eventually by their last victim (who got away). To find out more, see The Doctor Dissected: A Cultural Autopsy of the Burke and Hare Murders by Caroline McCracken-Flesher. 7. Modern Medical photographer Medical photography has a long history in Edinburgh, starting with the earliest known medical photograph—a calotype entitled ‘Woman With Goitre’ (c.1847) taken by David Octavius Hill and Robert Adamson. Hill & Adamson were pioneers in the newly established field of photography; in 1843 Adamson founded Rock House Studioon Calton Hill, which was continuously in business until 1945. 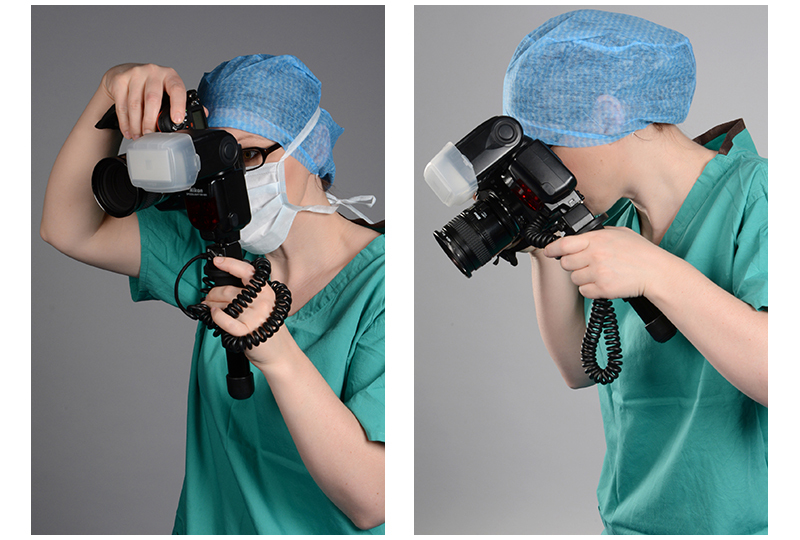 Medical photographers today are Healthcare Scientists specialising in photography, videography, graphic design and medical artwork. They work with health professionals to produce images for use in patient care, education, research, publications and websites. 8. “There Are Always Flowers” art installation outside Medical Photography and Bereavement Suite, Royal Infirmary, Edinburgh. The installation was inspired by Henri Mattise: “There are always flowers for those who want to see them”. Vikki McCraw is a professional photographer and founding director of Edinburgh-based Locations 365, which provides locations and production services for fashion shoots, tv commercials and events throughout Scotland. 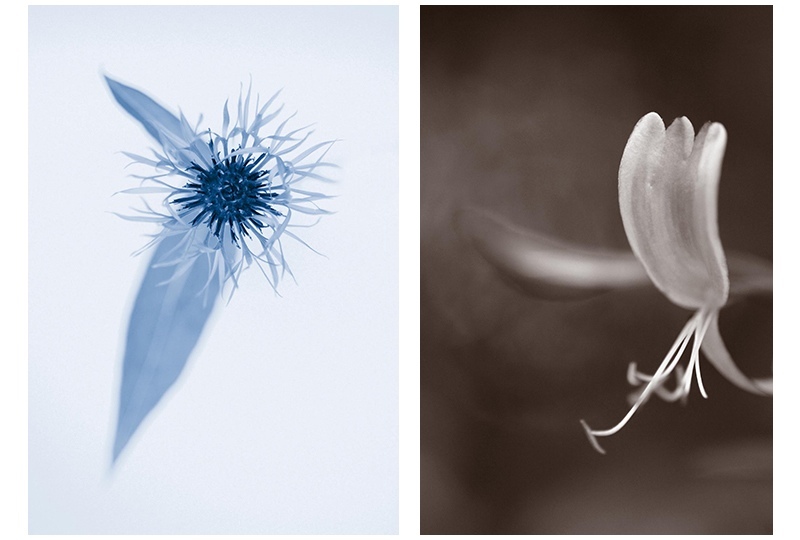 Vikki McCraw is a freelance photographer based in Scotland.